An unputdownable thriller from South Africa's #1-bestselling crime writer. Some would call Detective Benny Griessel a legend. Others would call him a drunk. Either way, he has trodden on too many toes over the years ever to reach the top of the promotion ladder, and now he concentrates on staying sober and mentoring the new generation of crime fighters - mixed race, Xhosa and Zulu. But when an American backpacker disappears in Cape Town, panicked politicians know who to call: Benny has just thirteen hours to save the girl, save his career, and crack open a conspiracy, which threatens the whole country. 05:36: a girl runs up the steep slope of Lions Head. The sound of her running shoes urgent on the broad footpaths gravel. At this moment, as the suns rays pick her out like a searchlight against the mountain, she is the image of carefree grace. Seen from behind, her dark plait bounces against the little rucksack. Her neck is deeply tanned against the powder blue of her T-shirt. There is energy in the rhythmic stride of her long legs in denim shorts. She personifies athletic youth  vigorous, healthy, focused. Until she stops and looks back over her left shoulder. Then the illusion disintegrates. There is anxiety in her face. And utter exhaustion. Deon Meyer's engrossing South African thriller pits Detective Benny Griessel against a mystery that unravels like the threads of a complex tapestry... Because the novel is set in contemporary South Africa, race relations and the legacy of apartheid are an inevitable topic, and Meyer works his social commentary into the story while remaining true to his characters... Thirteen Hours draws to a satisfying conclusion, with answers that prove surprising. You'll be glad that you invested your thirteen (or so) hours with this book. (Reviewed by Cindy Anderson). There have been other South African crime novelists, but none are as deft at place as Deon Meyer. Thirteen Hours is Cape Town today, with all its exquisite beauty, tribal conflicts, loyalties and corruptions. …Meyer weaves all this into a tightly plotted story – with a twist that works beautifully – and unforgettable characters. Twenty years after the release of Nelson Mandela, South Africa remains a troubled place, and Meyer's novels give rare insights into the texture of everyday life. Above all, though, [Thirteen Hours] is a vigorous, exciting novel that combines memorable characters and plot with edge-of-the-seat suspense. The staccato story slips back and forth between the various strands at a breathless clip, doling out nuggets of plot in just the right amounts to have us salivating to know more. A smashing story. Imposing a strict time limit and a tight location on his plot, [Meyer] ramps up the suspense to an unbearable degree. Best of all, his sharply drawn characters really feel part of the new South Africa, where loyalties and beliefs must always be questioned. While the windup doesn't match the pulse-pounding opening scenes, this crime novel does further enhance Meyer's reputation as a deft storyteller. Starred Review. A vividly drawn locale where political considerations affect everything, cliff-hanging suspense, and shocking plot twists, Meyer again has produced a winner. Highly recommended. Starred Review. Meyer... steeps his novel in the day-to-day life of a country still reeling in the wake of radical transition. [Meyer's] novels are so engaging that you can easily get paper cuts from turning pages too fast. ...Thirteen Hours is a ripping good read guaranteed to keep you up until the last word. In Meyer we have more than a writer who entertains, and also more than a novelist who educates us about… 'little cultural differences': his greatest attribute is that he sets us thinking about ourselves and our country and our future. Painlessly. 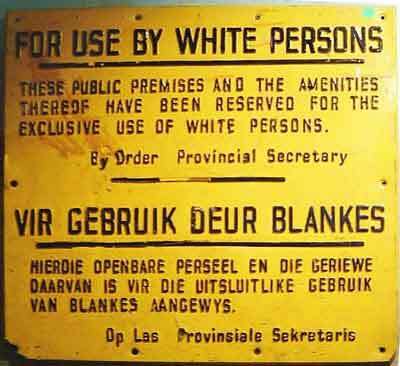 Apartheid ("separateness", pronounced "apar-tate" in Afrikaans, although many English speakers say "apar-tide") was a government-enforced system of racial segregation instituted in South Africa (map) in 1948. Control of the government at that time was held by White Afrikaners, descendants of Dutch colonists who started to arrive in 1652, as well as descendants of British immigrants from the early 19th century onwards. * Under Apartheid, citizens were classified into three race categories: White, Coloured (people of mixed race), and Black (or Bantu). An additional category of Asian (which included Indians and Pakistanis) was later added. Over 2 million copies of his books in print. The first and only author to win back-to-back Edgars for Best Novel. Every book a New York Times bestseller. After five years, John Hart is back. The Maasai believe in two gods. Enkai Narok, the Black God, is benign. Enkai Nanyokie, the Red God, is the god of anger, vengeance, and death.